Help Club members progress through a series of basketball stations to develop their skills. Stations include: passing targets, three-point shot, free-throw shot, speed/agility ladder, and more. The volunteer would record on the Club member's form their score. This program occurs for ONE HOUR per week. Please email Erinn Hendricks, Program Director at: ehendricks@bgclansing.org. 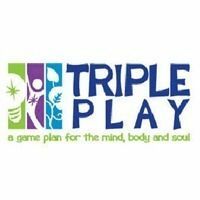 Log in to see who is volunteering for Triple Play Basketball Fundamentals!